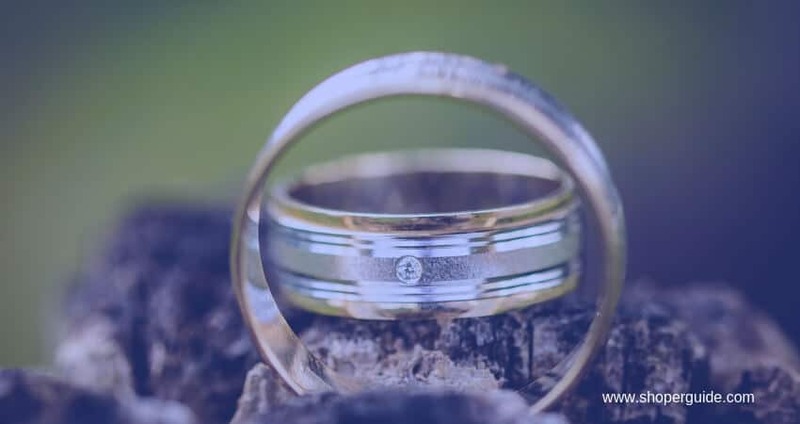 If you use jewelry for a few years, you will find it has the blackish spot on it. The ornaments will lose its brightness. But by using gold cleaning kits, it is very easy to remove those stains and make the piece shiny and sparkling like brand new again. Here we will describe the different ways of cleaning gold jewelry. By following proper cleaning process, you can clean the gold jewelry at any time. But it is easy to remove spots, darkness, tarnish and discoloration while it is minimal. The Toughest the tarnish, hardest the process. Easy equation. Even you may need to take professional service or professional gold cleaning kit to remove the toughest spots. Here we will discuss the topmost process among all possible way of gold cleaning. You can complete the cleaning work with household items. But in some process, you may need to buy cleaning tools. In most scenario, you will not be required tools or buy cleaning solution if clean the ornaments in primary stages. Do you like to use household items like soap and a soft cloth to scrub your jewelry? Or directly use professional cleaning kits to achieving the best output? It’s up to you. Here we are providing all our favorite process below. Follow what you like to apply. It is the easiest process among all. You will need a bowl, warm water, and liquid soap. You can use a soap bar but you have to beat up it with the water. The process is so simple. Put a few drops of liquid dish soap in the bowl of hot water. The should not too much warm, it’s actually lukewarm. After mixing gently the water and soap, put your jewelry into the mix-up. It is enough to use regular tap water. But if you like to empower the process, can mix sodium-free seltzer water. It is best to remove little tarnish. Whenever you clean gold regularly, this process is for you. But if your jewelry piece contains stones like opals, sincere about hot water. Boiling water can fragile these precious stones. It is an almost similar process as an above process. But in this process, we will use professional liquid gold cleaner instead of dishwasher or soap. Oh, there is no obligation of hot water. If you use normal tap water instead of warm water, that is enough. In this process, you will need a bowl, normal tap water (You can use warm water) and jewelry cleaner solution. You will get different types of liquid soap in the market. It is a more professional process. Moreover, it can clean any type of spots from all grade gold. The Process: Take a bowl of water and mix it with few drops liquid cleaner. Put the gold jewelry in it for 10 to 15 minutes. Finally, dry it off with a soft cloth. Have you ever taken a jewelry cleaning service? If the piece of gold ornaments tarnish heavily, we go for professional service. How they clean the heavy spots? They use jewelry cleaner and clean dark spots easily in a few minutes. Here you can check ultrasonic jewelry cleaner reviews and buy the suitable one for your works. 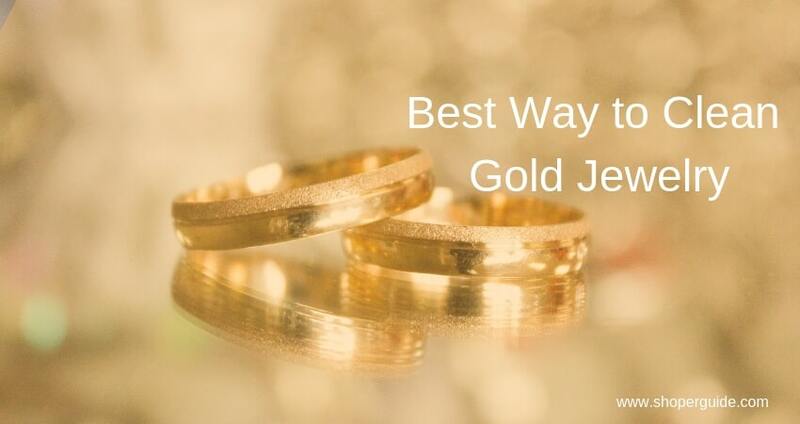 We highly recommend purchasing a gold cleaner if you have a big collection and wear jewelry regularly. By using professional cleaning tools, you can clean other items too. It is very easy to use a cleaning kit. Put your target piece of jewelry into the machine and simply switch on the device. It is an auto cleaning process. Most of the device has a manual book. The producer has a clear guideline; how much time you need to keep the process run. You can use a few drops of cleaning solution with it to make the process more professional. Baking soda can be another cheap solution of gold cleaning. You can add one tablespoon baking soda into the water to make a paste. Put the paste into the outer surface of the jewelry and scrub the piece with brushes. You should brush softly and carefully. Rough scrubbing can damage the smooth part. If anyone can use Ammonia in the right way, it can be a powerful cleaner. You need to be careful because it is acid. It is not recommended for regular clean. You will use it only whenever you need a deep cleaning. Moreover, if your jewelry has pearls or platinum, you should avoid Ammonia. Generally, we don’t recommend it. Misuse can make serious harm on your favorite gems. A soft cloth and a toothbrush can be an easy solution for the gold lover. When you wear gold regularly, you should have clean it constantly. We recommend to wash it after every use. It has a few conveniences. Whenever you clean it regularly, you can avoid harmful elements and an easy cleaning process will be enough for you. A soft cloth and a toothbrush will be enough for you. You can add a few drops cleaning solution. Put the solution on gold and brush carefully. After complete the process, wipe it softly with a soft cloth. Though it is a very natural process, it is an effective method. Here we discussed several methods. You can follow anyone among all. If you clean regularly then the normal method will enough for you. But you face a condition that required professional cleaning, we will suggest you buy a gold cleaning kit. It will make your process easy and professional.